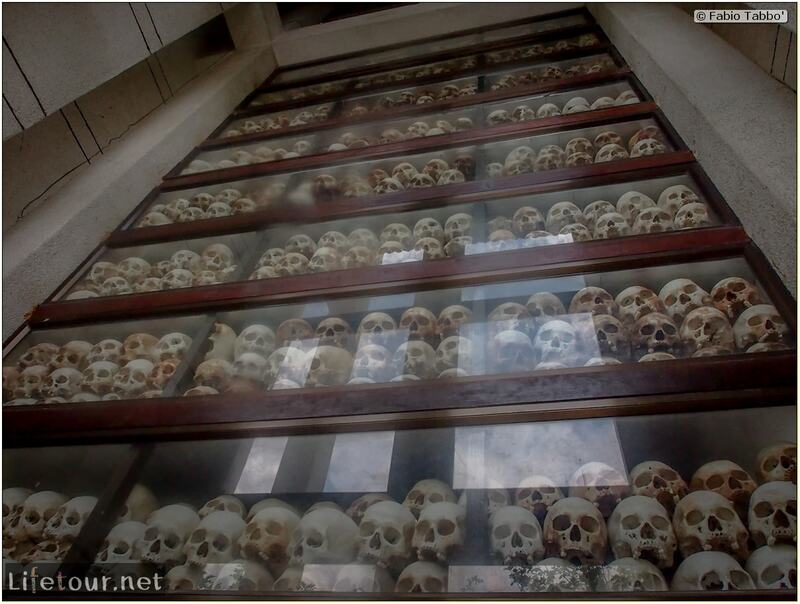 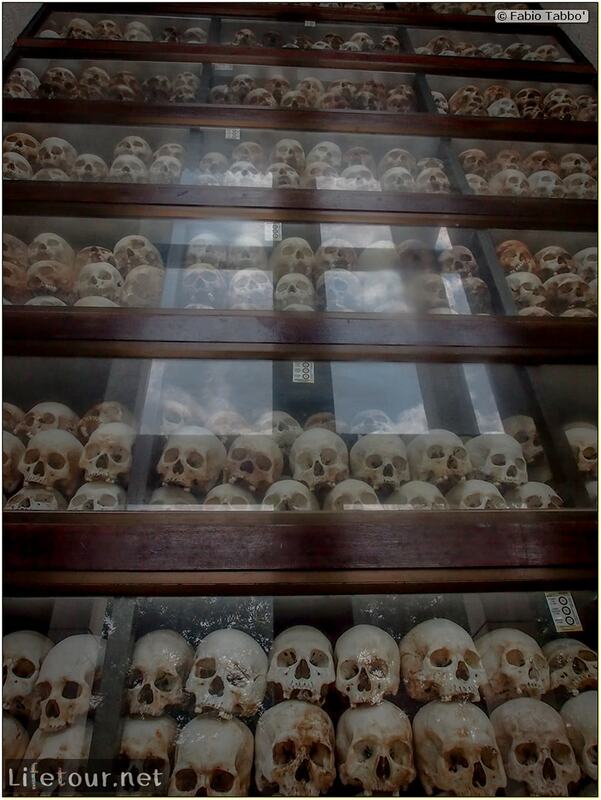 The stupa has acrylic glass sides and is filled with more than 5,000 human skulls exhumed from mass graves. 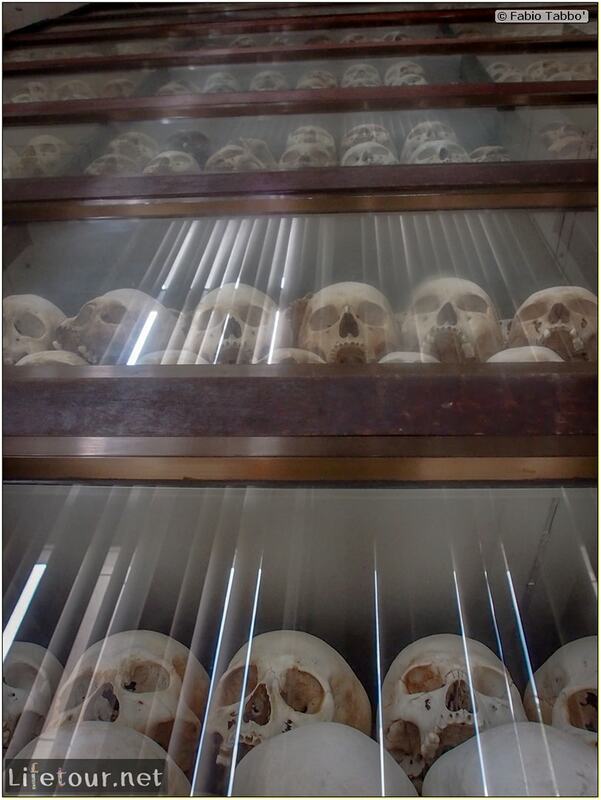 Some of the lower levels are opened during the day so that the skulls can be seen directly. 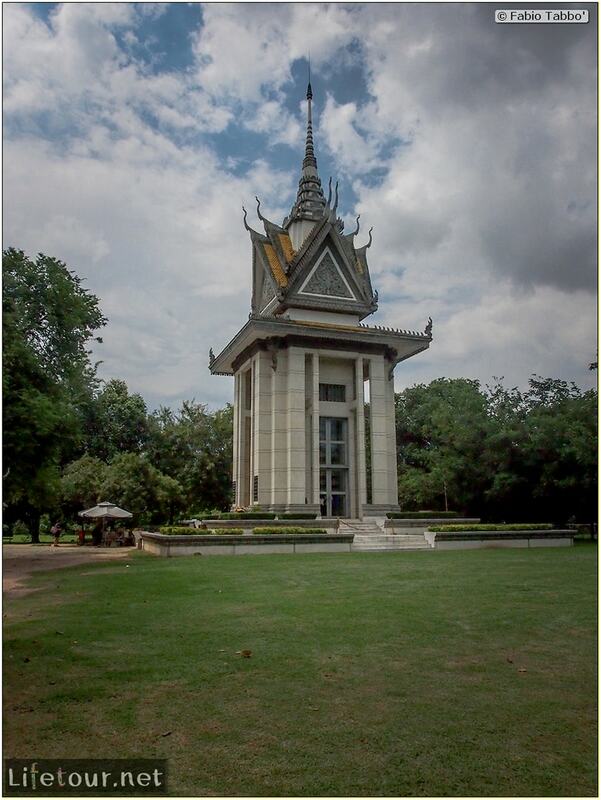 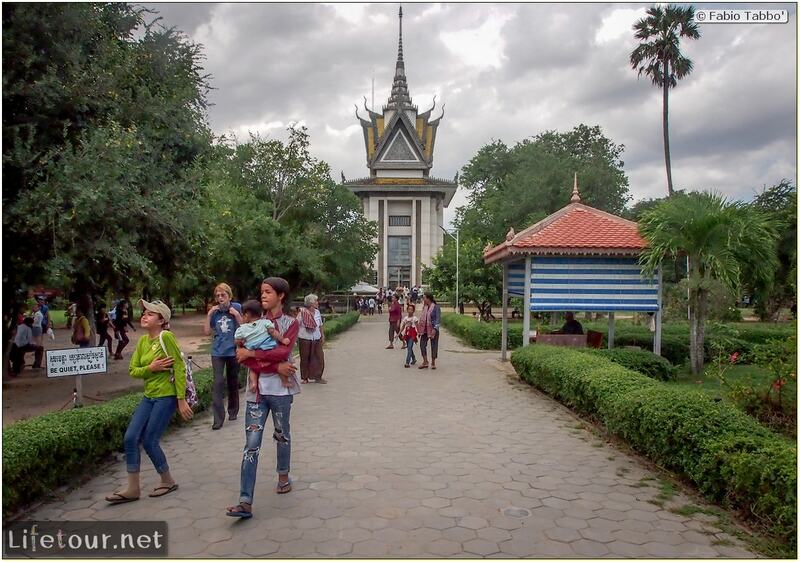 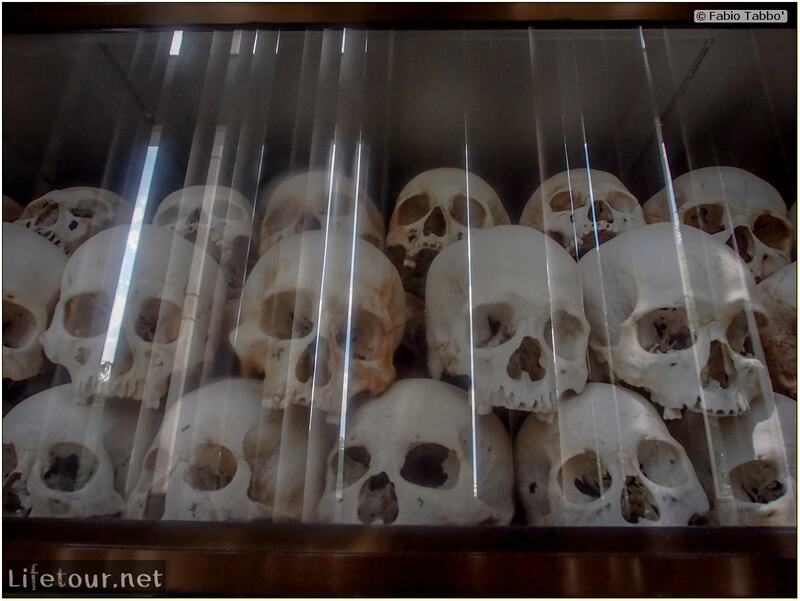 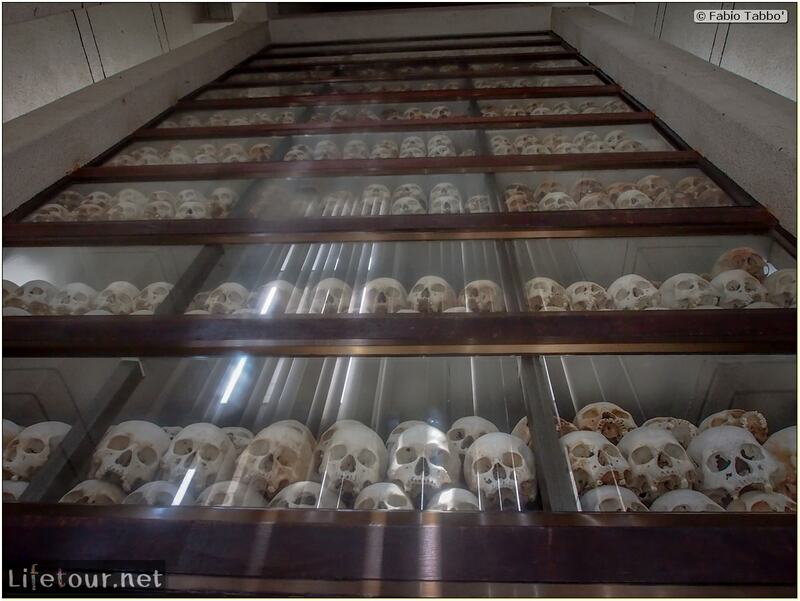 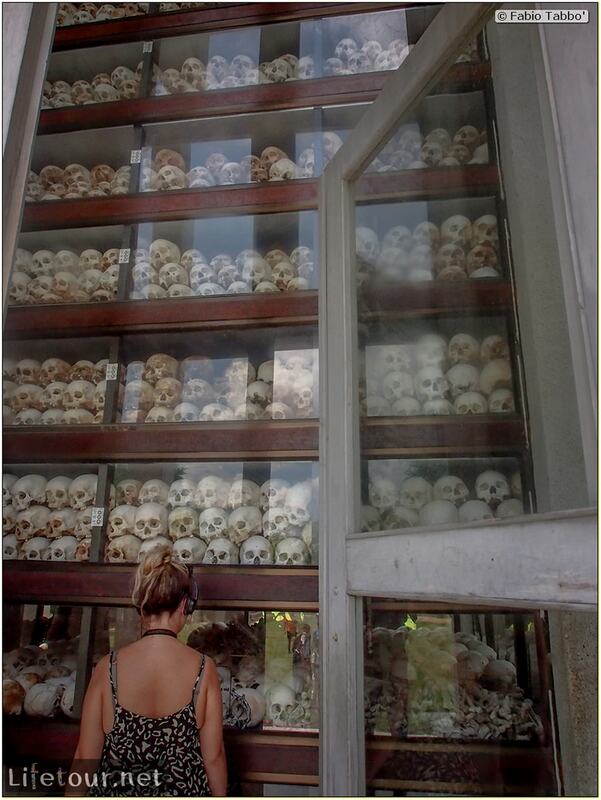 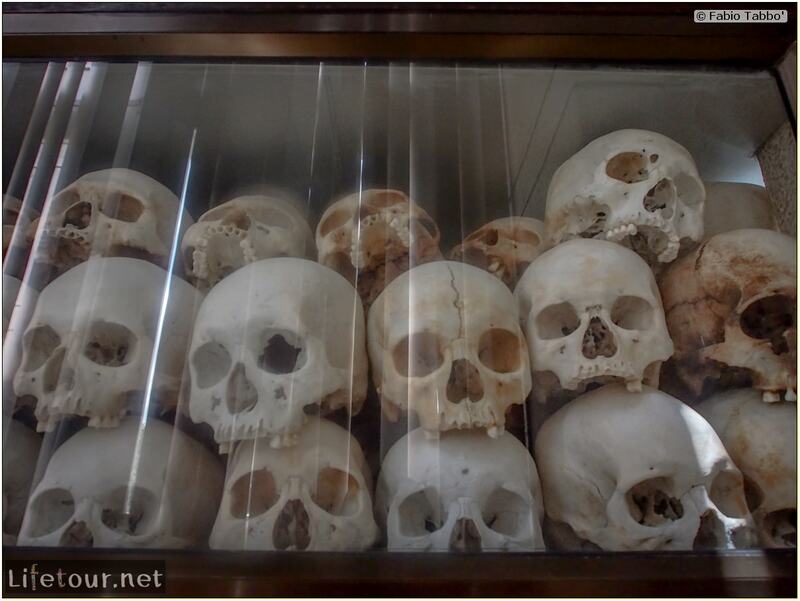 Many have been shattered or smashed by the Khmer Rouge soldiers.